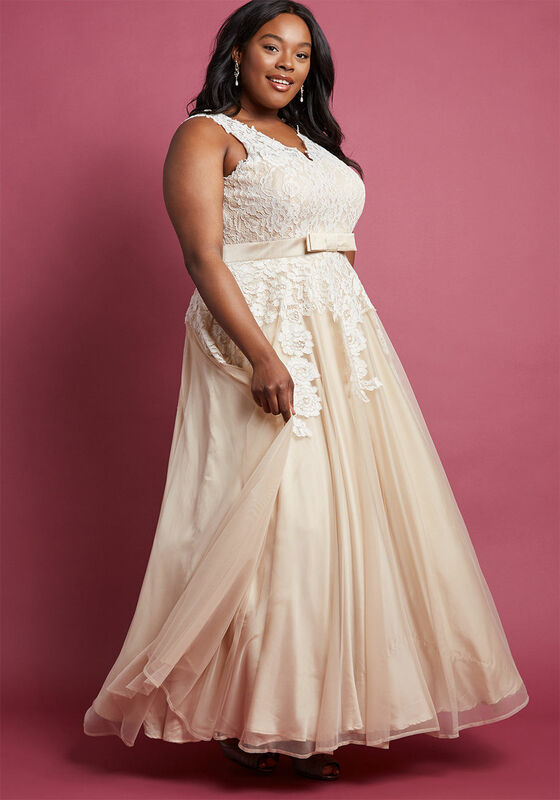 When it comes to planning for the big day, wedding dress shopping can be a daunting task — and if you’re plus size, there are a lot of brands that haven’t yet caught up to the fact that it’s 2018 and they should carry sizes larger than a 12. This makes the process even more difficult. 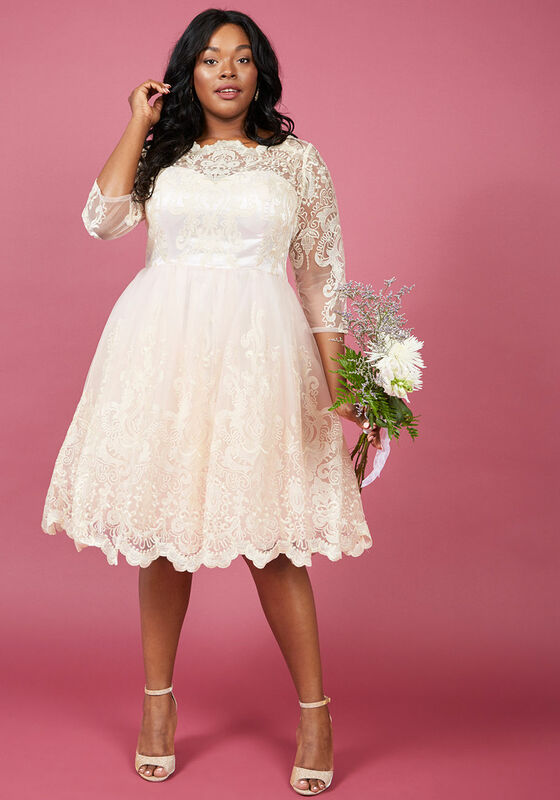 But more brands are beginning to create size-inclusive wedding dresses and — here’s the best part — all of the plus-size wedding dresses we rounded up here today are under $400. 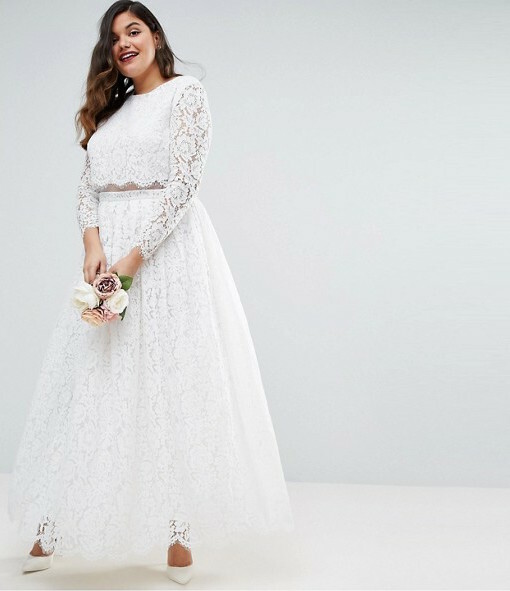 From classic strapless confections to sparkle-encrusted bodices to vintage-inspired, tea-length dresses, there’s something for every type of bride. Also proof that you don’t have to spend a fortune on a dress you’re only going to wear once. See our picks below. A classic shape with a hint of sparkle. Just the right amount of sparkle. 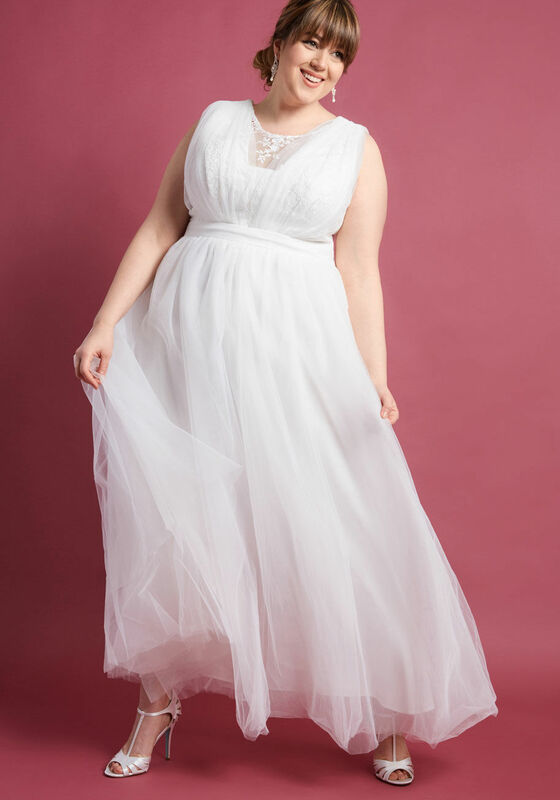 This tulle dress goes up to a size 18. We’re swooning over the sheer details on this dress. So vintage, so in love. 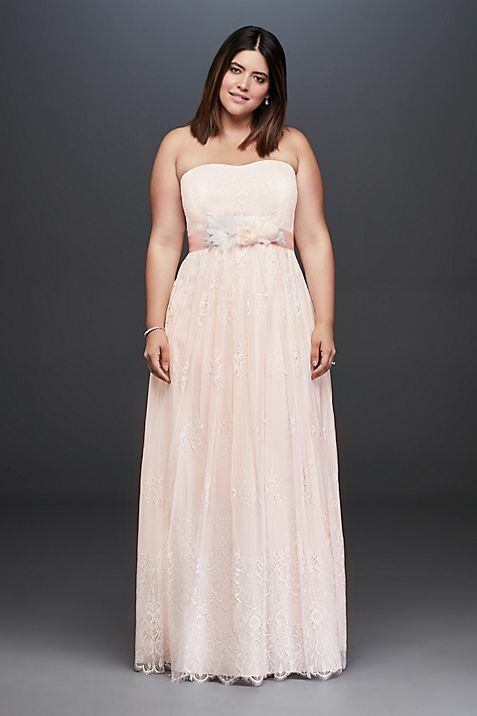 A beaded bodice and blush color make this dress oh-so-romantic. 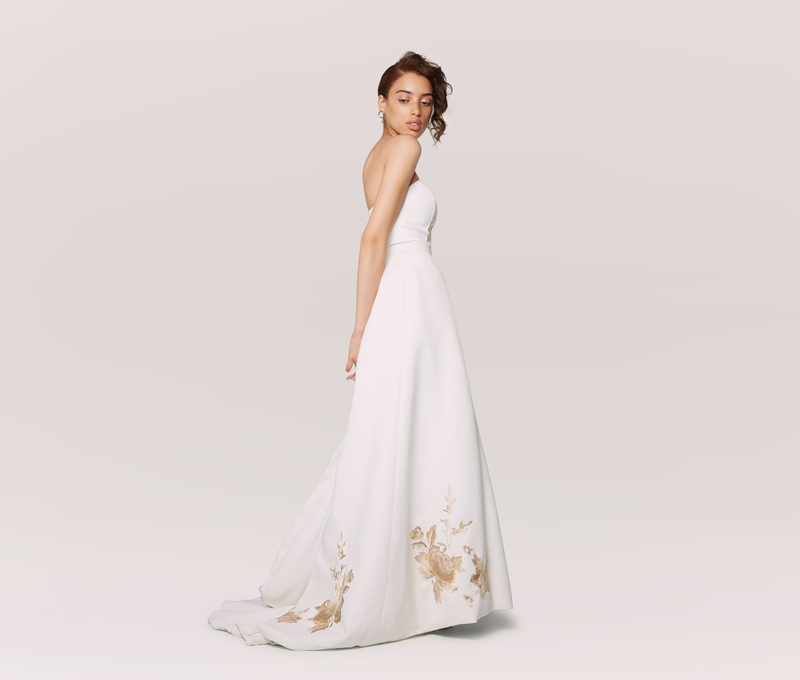 A sheath silhouette and beaded neckline add easy elegance to this dress. 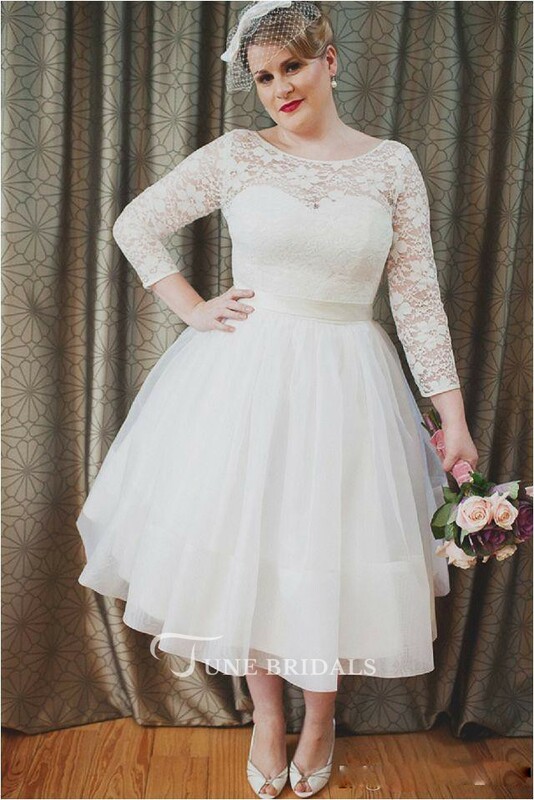 The actual definition of a blushing bride. 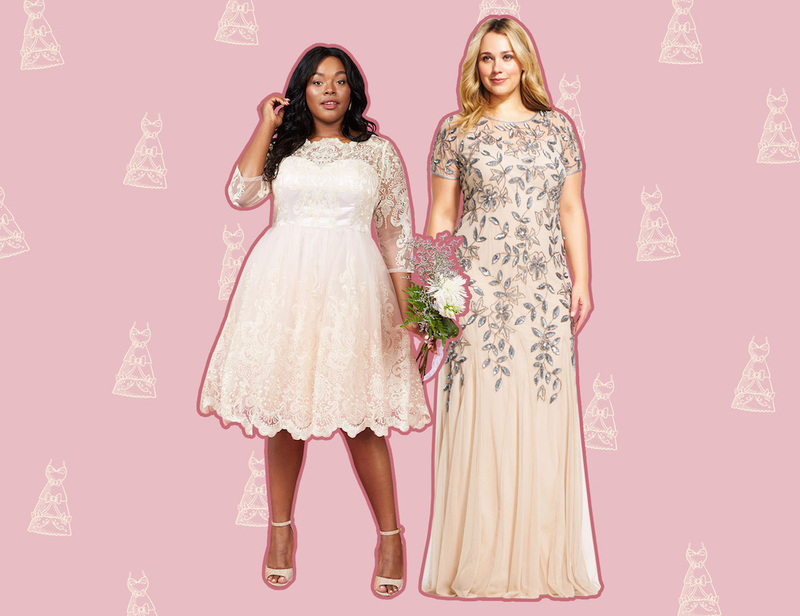 Because not everyone wants to wear a gown (and this dress comes in both blush and champagne). 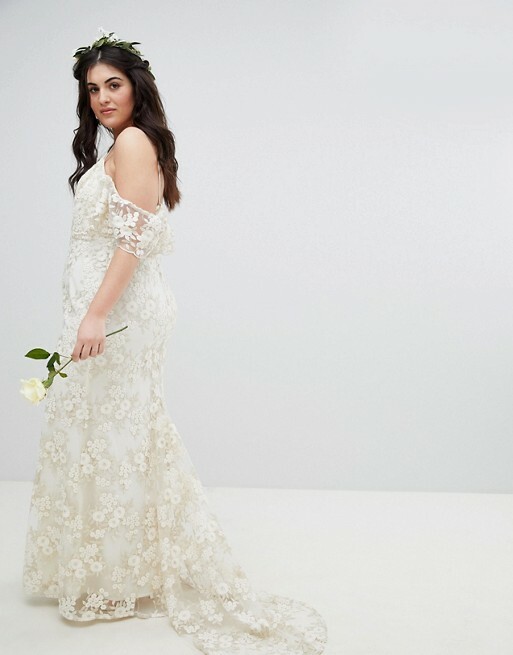 The gold floral embroidery on this dress is stunning, and it comes in sizes 0-22.